you can easily read pdf document on your computer if you have adobe reader or any other pdf viewer.but if you in any other place like college,school,cybercafe etc ,and you find that their are no pdf viewer installed in computer,than you can easily view your pdf files online using some services. 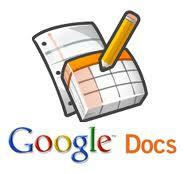 google docs:a best tools for view your all documents online.its totally free and easy in use .just logon in google docs with your google account.click on file>upload.then browse your pdf file from computer and upload it ,than you can view your pdf file easily.you can also view pdf files online from any websites without login in your account.just open http://docs.google.com/viewer and link your file from web. GMail:attach your pdf file in GMail and click on "view as html" link. zoho viewer:just upload your pdf files from your computer or link pdf files from any website and view it in just one click. slideshare:just login with your account in slideshare and upload any documents slides,presentation and view it. viewdocsonline :like joho viewer upload your files or link from web and see it . there are many another software's available on Internet to view pdf files online but from my opinion google docs is a standard and best ,you have no need to use any another software's.